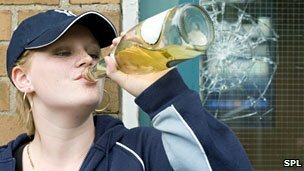 FMRI studies have found reduced BOLD response in adolescent alcohol abusers in brain regions important affective decision-making (13). Emotional processing and its relationship with executive control has received much less attention in FH+ individuals. Emotion Recognition and Affective Processing – Research suggests that alcohol use disorder (AUDs) are associated with deficits in emotion recognition (30-33), which may be related to atypical brain structure and functioning observed in the limbic system among alcoholics (34-37). and functional abnormalities in affective processing brain regions.Studies of the limbic system have found reduced volume in subcortical structures, including the amygdala, thalamus, ventral striatum, and hippocampus among adult alcoholics (41,42).Alcoholics with smaller amygdalar volumes, are more likely to continue drinking after six months of abstinence (37). Furthermore, during emotion identification, alcoholics showed comparable performance to controls, but had reduced brain response in the affective division of the anterior cingulate cortex (ACC) to disgust and sadness, with this lack of affective response to aversive stimuli believed to underlie disinhibitory traits in AUDs (36). There is also evidence to suggest that non-alcohol abusing FHP individuals share similar deficits in affective systems to alcohol abusers, including reduced amygdalar volume, less amygdalar activity in response to emotional stimuli, and high rates of internalizing symptoms such as anxiety and depression(37; 45-47). processing and cognition has found that poor inhibition in individuals with co-morbid substance and alcohol abuse is associated with atypical arousal in response to affective images (48), and affective measures in FH+ alcoholics also relate to deficits in executive functioning, e.g impulsivity (47). As we suggested previously, in relation to decision making profiles,in those at risk, those with alexithymia and also with cocaine addicts, decision making often involves more emotion expressive-motor areas of the brain like the caudate nucleus which is more of a “feel it-do it” type of reaction to decision making or a emotionally impaired or distress-based impulsivity. If there is a difficulty processing emotions, these emotions can not be used as a signal to guide adaptive, optimal decisions. Decisions appear more compulsive and short term. Tagged as: a pathomechanism of alcoholism, adolescent drinking, alcoholism, alexithymia, children of alcoholics, distress based impulsivity, early onset of drinking, emotional processing, emotional processing deficits, executive dysfunctions, impulse control, negative urgency, the aetiology of addiction, Vulnerabilty to alcoholism.